Cladosporium ear rot is caused by the fungus Cladosporium herbarum. It appears as dark green or black powdery mold and black streaks on kernels. It usually forms first where the kernels attach to the cob. Dark green, fuzzy mold also may be observed on and between kernels. 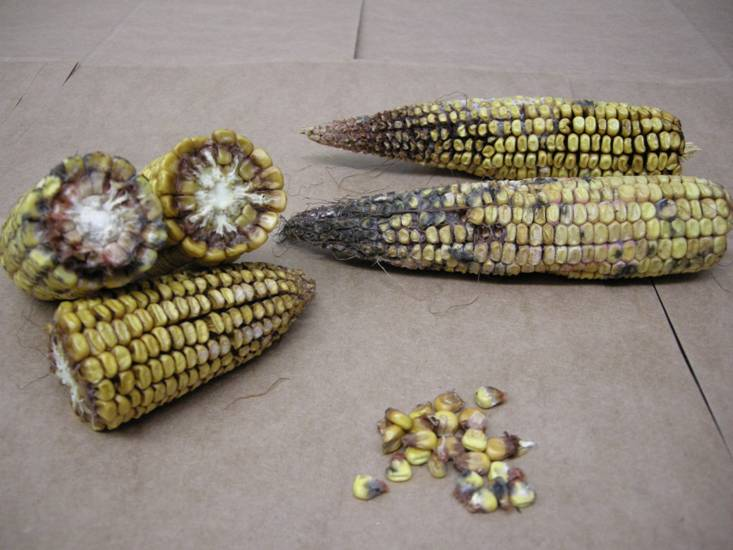 This ear rot is often associated with hail, frost, or insect injury and is favored by wet weather during grain fill. It is more common in hot, dry years in the northern Corn Belt and can grow at temperatures higher than 90°F and grain moisture content as low as 16 percent. Gallery images: G. Munvold and A. Tenuta. 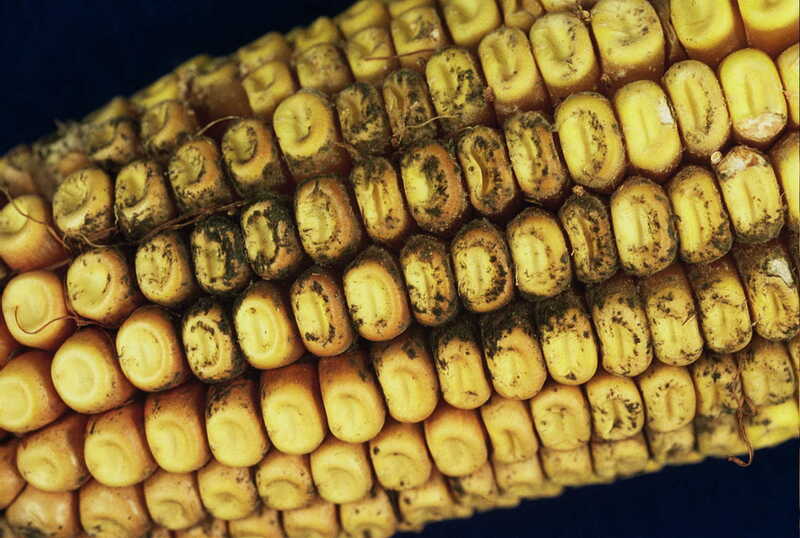 Cladosporium ear rot signs visible on multiple parts of the ear. Dark mold indicative of Cladosporium ear rot. 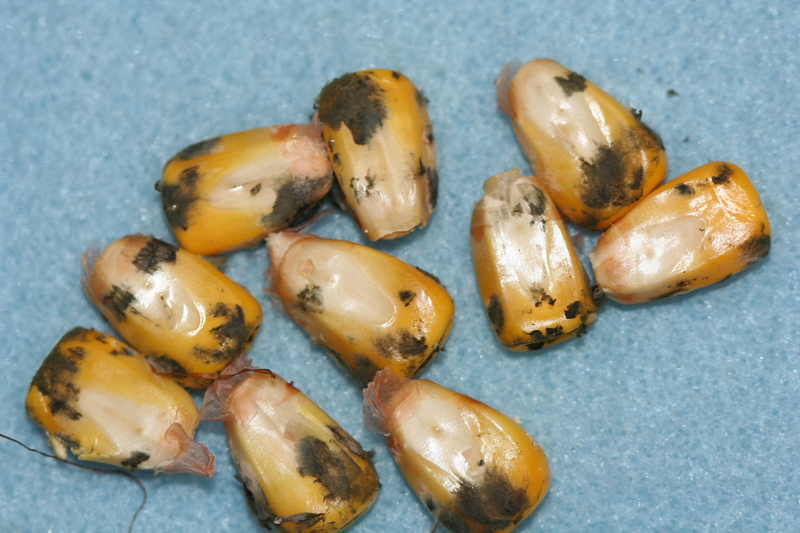 Cladosporium ear rot on individual kernels.